After the original Welnick Bros. Marketplace closed in 1951, the building functioned as covered parking for businesses in the adjacent building, an auto repair shop and warehouse. Brothers Leo and Ed Welnick built Welnick Bros. Marketplace near Van Buren Street and Fourth Avenue in 1927. 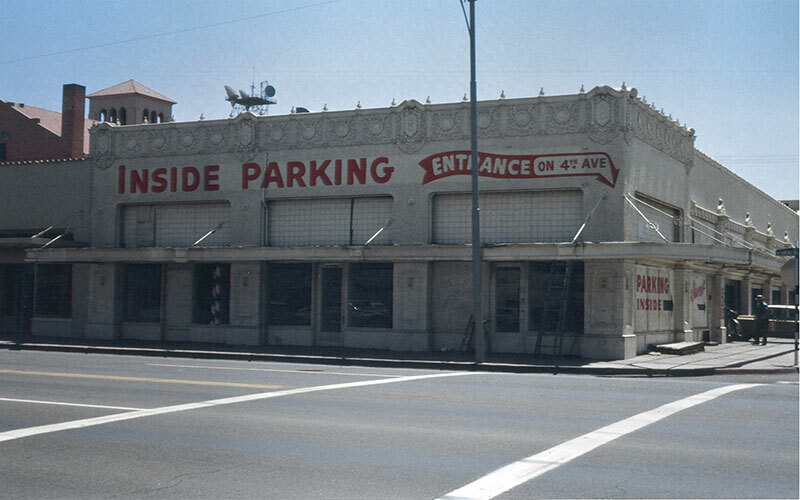 They operated a grocery store in a portion of the building, which was an open-air “arcade” style marketplace containing several vendors under one roof – a unique model in the 1920s for metro Phoenix that preceded supermarkets, according to a the city of Phoenix. The market included tenants such as Capital Pie Shop – operated by Allan Bragg, who later opened Bragg’s Pies on Grand Avenue ¬– and Hubbell’s Peerless Grocery, which sold fresh produce, meats and cheeses. 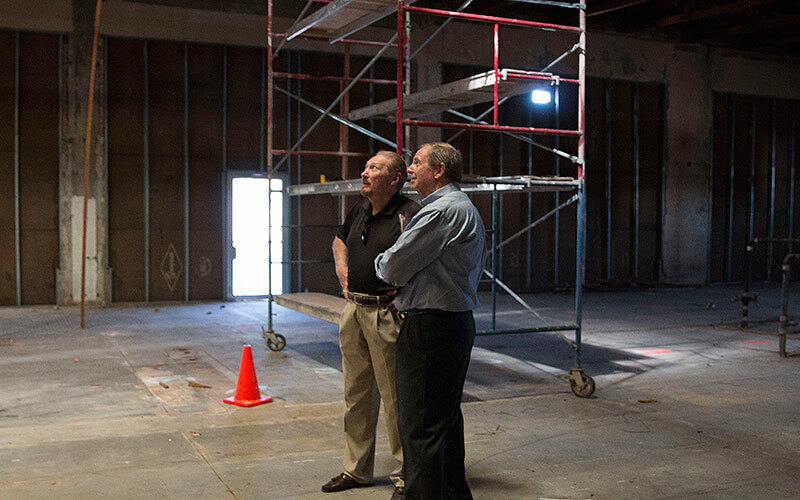 After the marketplace closed in 1951, the building housed an automotive repair shop, functioned as a warehouse and contained Dave Reiff Printing Co. before developers Pat Cantelme and James Kuykendall purchased it last year for $930,000. Welnick Marketplace and the adjacent Liefgreen Seed Company building will be the first adaptive reuse project for Cantelme, a former CEO of PMT Ambulance, and Kuykendall, a former Bar-S Foods chief financial officer. They plan to restore the 11,000-square-foot building to its original Spanish Colonial Revival style. Both developers spent considerable time in the downtown area, which fueled their interest in the project, Kuykendall said. “When I saw the building and saw the potential, I thought it sounded like a great project for the city,” Kuykendall said. Kuykendall said the building was nearly razed twice after remaining vacant for a decade. The first phase of construction wrapped up in June and included painting, removing materials deemed hazardous or of little historic value and demolishing an exterior building. Reconstruction of the roof, outer walls and truss structure is underway. 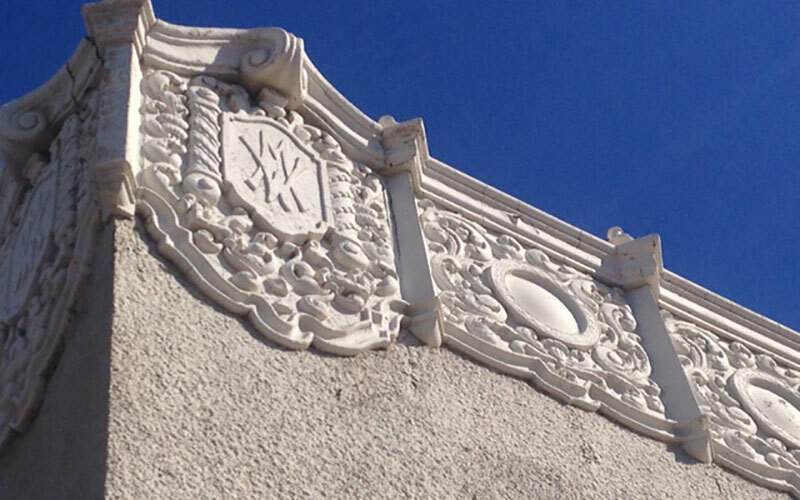 Motley Design Group, the architecture firm behind the DeSoto Central Market, is designing and restoring the Welnick building. The exterior will feature roll-up garage doors once incorporated into the original design. Workers covered them up when the print shop took over the building. The developers plan patio space, a mezzanine and more than 100 parking spaces. The exterior will look like a finished building by January, said Robert Graham, principal architect at Motley Design Group. Interior design of the building won’t begin until developers select the tenants. Kuykendall estimated the project will cost about $5 million, depending on tenant improvements and customization, Kuykendall said. They have received a significant amount of interest from tenants – from major national companies to local companies, Kuykendall said. “We expect the interest to pick up significantly in January after the shell rehabilitation is completed,” he said. Architects Fitzhugh & Byron designed the original building. The firm also designed the First Baptist Church – another redevelopment project on the same block that could potentially include restaurant and entertainment space. Welnick Marketplace is within downtown Phoenix’s “entertainment district,” a 1-square mile area designated to spur economic development by attracting more businesses to the area and allowing restaurants, microbreweries and bars within 300 feet of a church to apply for a liquor license, which was previously prohibited. Cantelme and Kuykendall have applied for city, state and federal historic designations, grants and tax credits for the project. The building is listed on the Arizona State Historic Property Inventory. Sherry Rampy, a real estate agent and historic preservation consultant on the project, said the city and downtown community has been cooperative with Welnick’s development process. Adaptive reuse projects come with their own unique set of challenges, such as working within the building’s current dimensions while keeping the structure as close to its historic context as possible, experts said. It’s much more economical to tear a building down and build from the ground up, which can be done in six to eight months, Kuykendall said. The retail vacancy rate in the Phoenix metro area was 10 percent in the second quarter of 2015, a slight decrease from last year. And downtown Phoenix experienced a 4 percent increase in asking retail rents, according to a report by Colliers International. Retail rents are increasing because of a growing residential population and influx of new businesses downtown, the report said. Much of that development is happening between First and Seventh avenues, with increased apartment construction and retail redevelopments, Kuykendall said. Welnick Marketplace is estimated for completion in mid-2016.